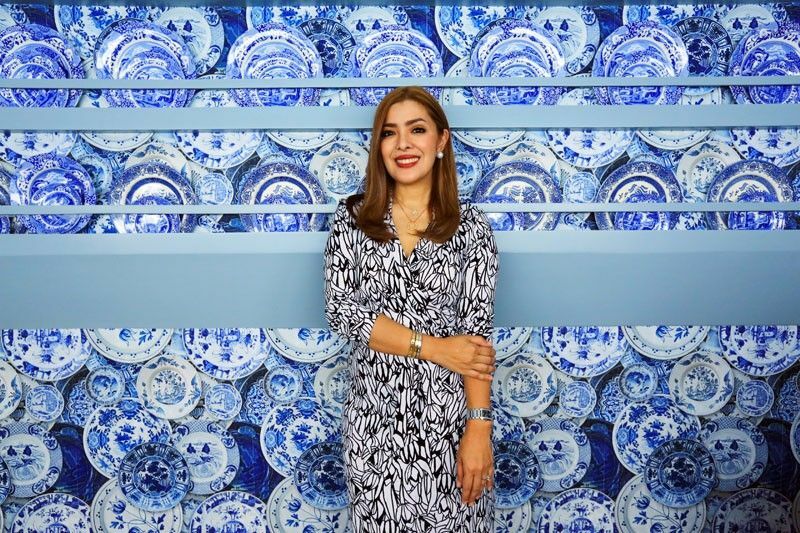 It was her mother’s love for collecting dinnerware and entertaining guests at home that sparked her obsession with plates, so much so that she wanted to build her own collection even while she was still in college. Restaurateur and chef Happy Ongpauco-Tiu happily looks back at the time when she made her first big purchase and how she used her “plate addiction” as a tem(plate) for success. “While my classmates saved their allowances to buy Gucci bags and shoes, I saved mine for plates,” Happy says with a grin. She considers her most prized possession her first set of Bernardaud Limoges plates, a secondhand purchase from an aunt who bought it in a flea market in Paris. Plates definitely are a top purchase when she travels. 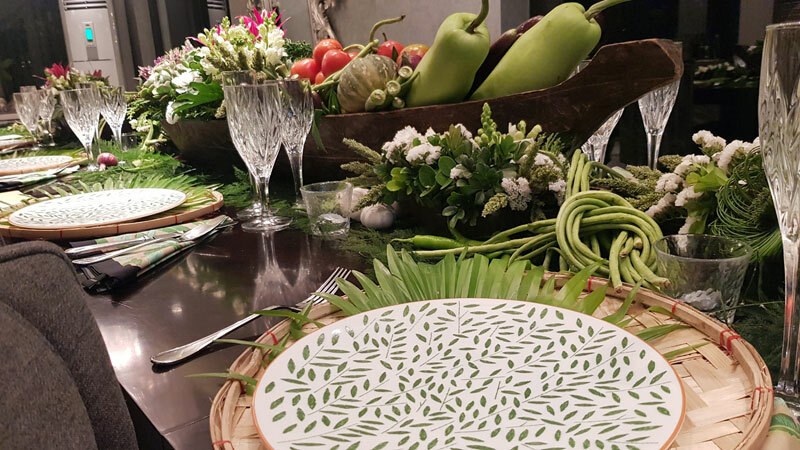 Barrio fiesta: A sample of Happy’s Filipino tablescape using bilaos as placemats, Christofle cutleryand Hermes plates with bahay kubovegetables. “Again, I think I got that from my mom, Liberty Ilagan. She would tag me and my sisters — Love and Sunshine — along when she shopped for dinnerware when we were younger,” notes Happy. 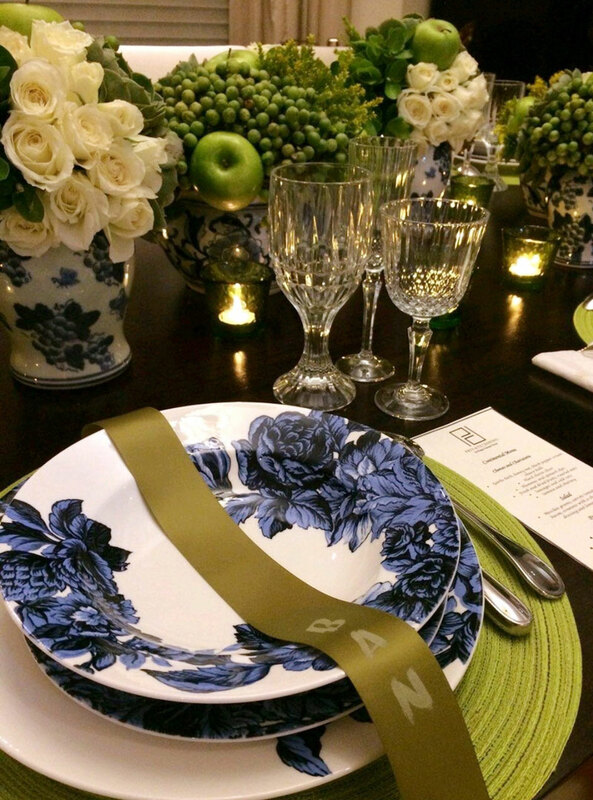 But aside from buying plates, Happy would also look for silverware and candleholders to match the collection. 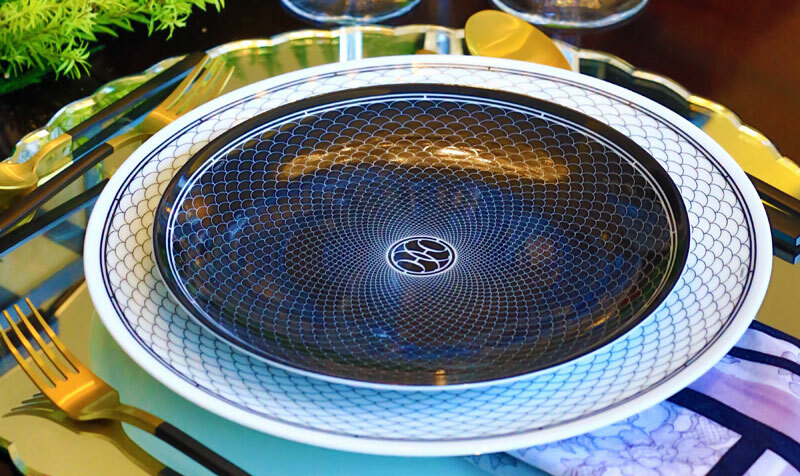 These days, Happy splurges on Hermes plates and scours Rustan’s homeware section for good finds. 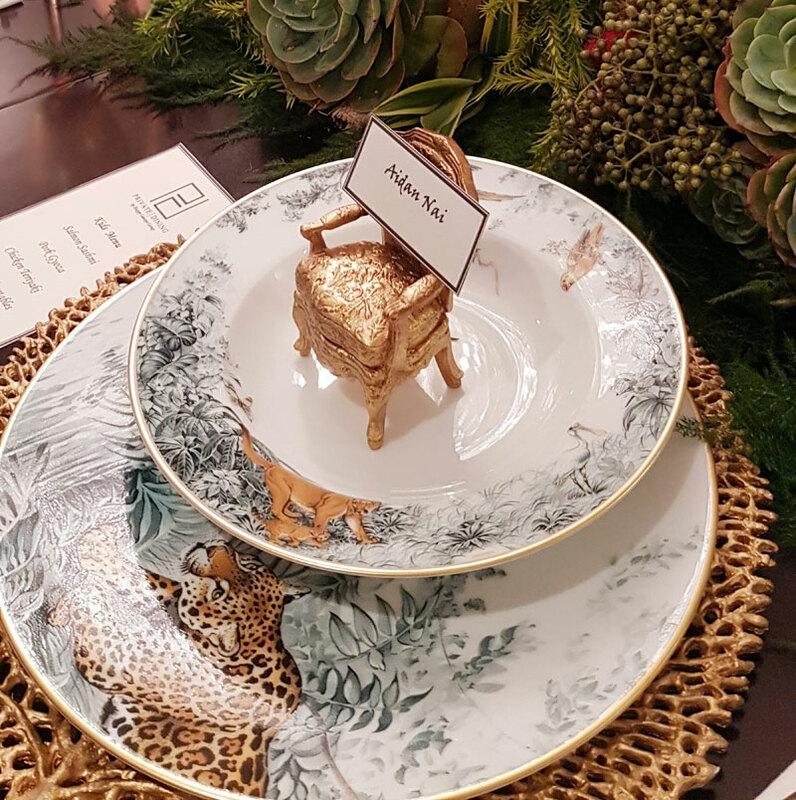 Yesterday, Stores Specialists Inc. (SSI) launched new collections from Pottery Barn, Pottery Barn Kids and West Elm at Central Square in BGC, and partnered with Happy to celebrate her 20th year in the food industry. We met Happy one fine afternoon in her private dining room in Makati. Designed by her interior designer friend Chat Fores, it’s a nice place where she entertains family and close friends. The house has an intimate dining room, a mini-theater — replete with a snack bar — and a plate room called “The Library,” where she showcases her favorite pieces. 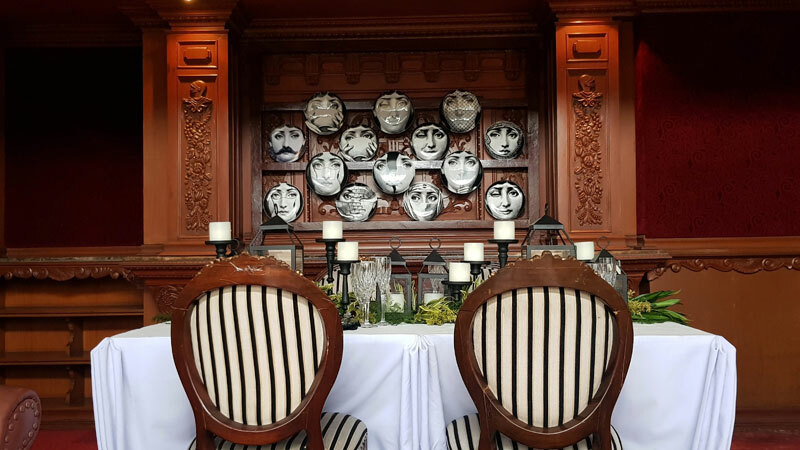 On one wall, we spotted limited-edition plates by National Artists Fernando Amorsolo and BenCab, and a festive plate collection done by Dominican artist Jose Morillo. 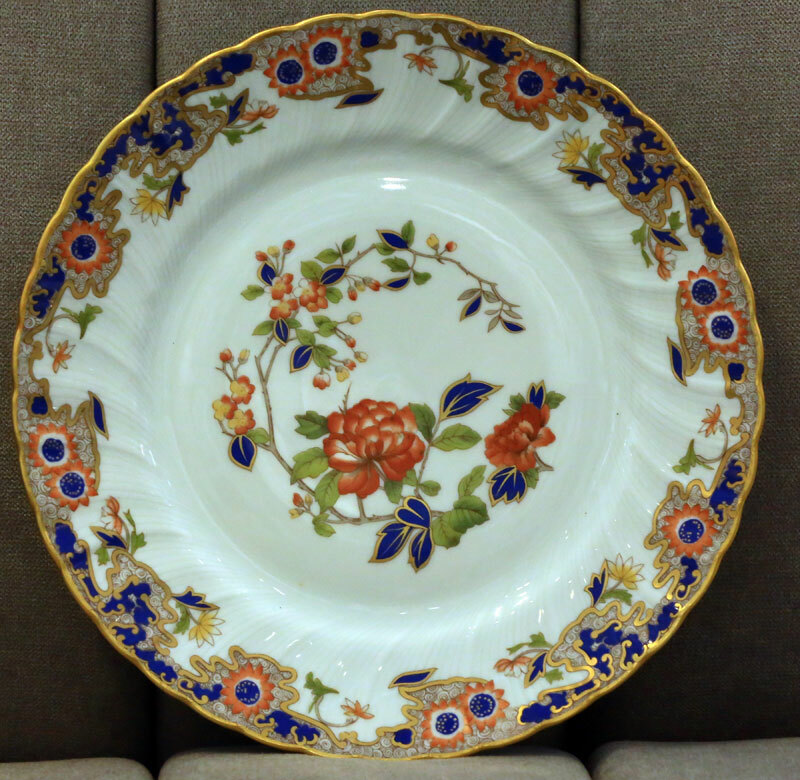 Happy’s prized possession: Happy Ongpauco bought this second-hand Bernardaud Limoges hand-painted floral plate —while she was still in college — from her aunt who got it from a flea market in Paris. Prominently displayed are plates from her favorite brands: Balcon du Guadalquivir and “A Walk in the Garden” by Hermes and the “hand plates” by Bernardaud Limoges, Rosenthal, hybrid plates by Seletti, Lennox by Marchesa, and plates with Lina Cavalieri’s face from brands Fornasetti and The Mad Hatter. 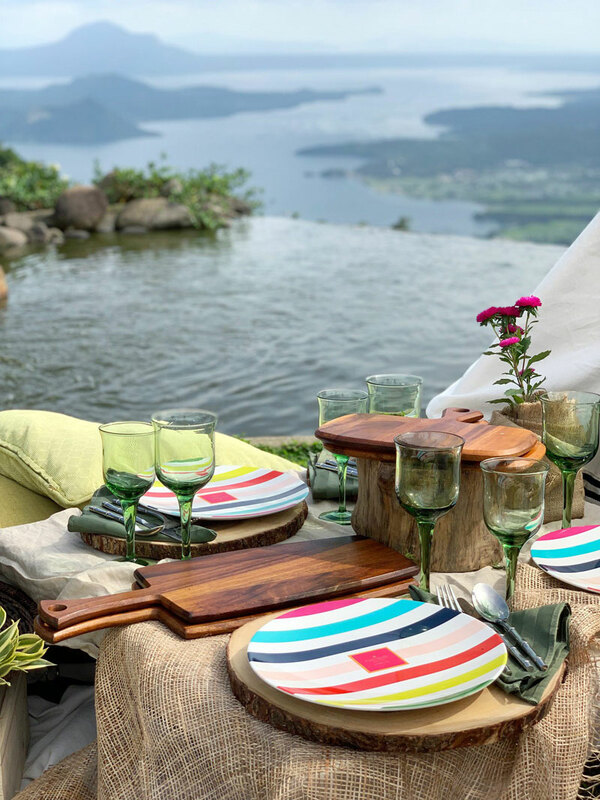 “I use Bernardaud’s plates with hand prints for degustations because as soon as I put food on it, it looks as if the dish is on top of the palm. I normally use ‘A Walk in the Garden’ by Hermes for Asian-themed events,” explains Happy. Also, there’s a special room in the house devoted for her Spode and Johnson Brothers plates collection. She even has a butler who takes good care of the plates during functions, and a secretary who does the inventory. Happy admits that she feels guilty of buying expensive plates. 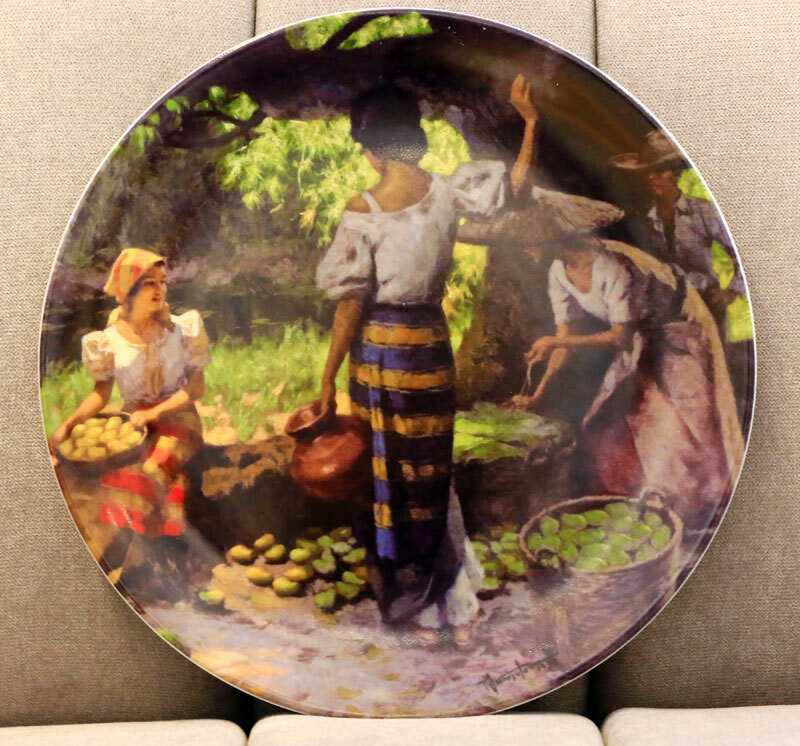 “I’m not maluho, but collecting plates became my passion,” she admits. And so to make her feel good and help lessen the guilt, Happy started The Dining Room just this month (in time for her 20th year in the industry), where she showcases her to-die-for plate collections and provide bespoke dinners to clients. The Dining Room is an offshoot of her Private Dining, but this time the rooms are open to the public. Happy’s Dining Room is located in Greenhills, Roxas Blvd., Salcedo Village in Makati, and in Tagaytay. “My dad, restaurateur Rod Ongpauco, owned these properties (which he actually gave to me and my siblings) kasi nga my parents love to entertain guests. Now, they’re all lazy to host parties so I stepped in and converted these places into, yes, Dining Rooms,” she says with a hearty laugh. The Dining Room offers a bespoke experience. Diners get to customize everything — down to their menus, their plates and the uniform of the butlers. “So yes, I made a business out of my plate collections. I think I was the first caterer in the country that offered a Plate Menu. Now, whenever I need to buy a new set, I get the money na from the profit,” she adds. 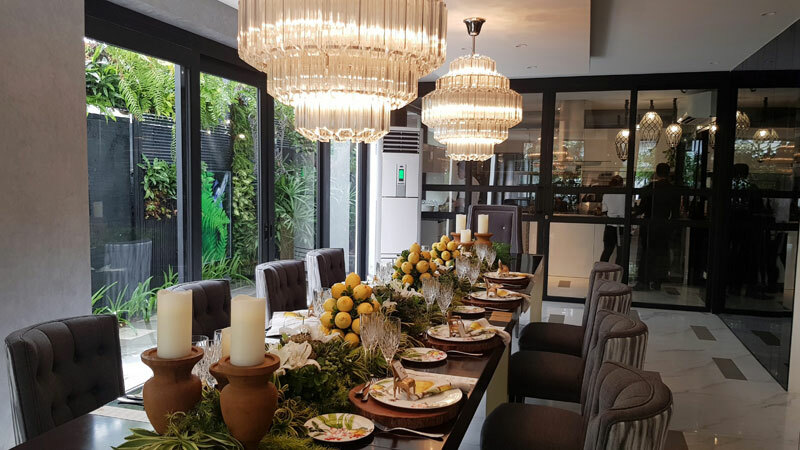 Happy’s Private Dining Room in Makati where she entertains family and close friends. For The Dining Room, Happy does sit-down dinners and degustation. “I don’t do buffets, instead I have the Chef’s Station. There’s a gueridon cart per station where the chef prepares the food in front of diners. Interaction makes the whole dining experience memorable,” Happy notes. Happy wants occasions spent at The Dining Room to be as special as possible, that’s why she did not opt to run it like a regular restaurant. The culinary genius behind the successful chain of restaurants that includes Pamana, Hawaiian Barbecue, Tsokolateria and World Topps is very hands-on in running her business (just like her dad, Rod), but she’ll definitely drop everything for her husband Dexter Tiu and her four boys Renzo, 15; Franchesco, 7; Niccolo, 6; and one-year-old Matteo. She takes them to school in the morning, and while they’re at school, Happy goes to work. In fact, during our interview, she texted that she was running a bit late because she had to pick the kids from school. Happy makes sure to head home by 5 p.m. when there are no special events to cook for the family. At night, she tucks the kids to bed since they can’t go to sleep without her on their side. “I have to hop from one room to the other,” Happy shares. Happy admits that she manages to run the business well because she has a reliable team behind her. “When it comes to running the business, I’m very conservative like my dad. I think I got my business acumen from him,” shares Happy who conducts the conceptualizing, menu planning, accounting and kitchen training herself. But Happy attributes a part of her success to having a loyal and hardworking team. As her way of giving back, Happy picks (draw lots) two of her employees every month who will receive a pang-kabuhayan showcase. “The winners get to choose from a menu of showcases: a mami (noodle) cart, a sari-sari store showcase, an inihaw na bangus kiosk, among others. What’s amazing is that each showcase costs only P20,000 but it goes a long way,” enthuses Happy. Her pantry girl who started with only one mami cart now has eight, while another employee got to send his son to college with the help of the livelihood opportunities. “My mom told me to always have a grateful heart and offer everything to ,” Happy adds.